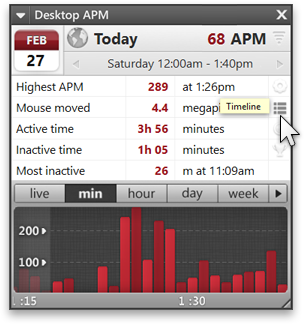 Desktop APM tracks your APM in all PC games and applications, however you may only want APM tracking when you're playing your favorite game. 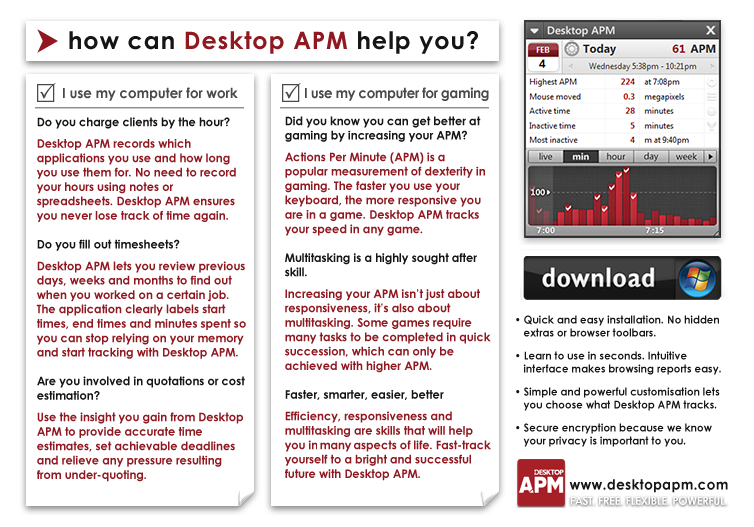 Below is a guide on how to configure Desktop APM to track League of Legends. 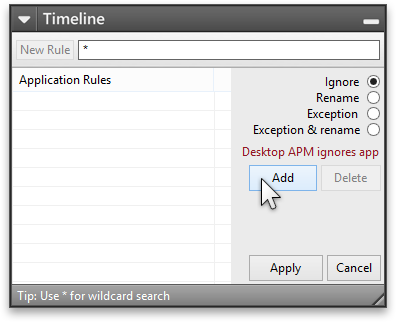 Existing rules ensure that Desktop APM does not track the name of individual websites you visit. We're going to set up Desktop APM to only track League of Legends, so these rules are no longer needed. 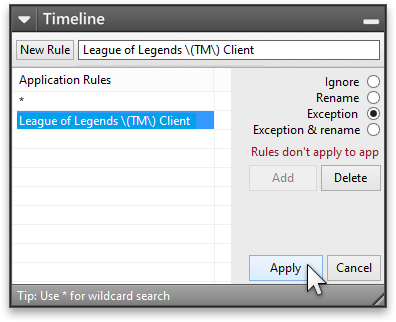 Step 7 Now we will create an exception rule for League of Legends. Click into the top input box and input the text "". 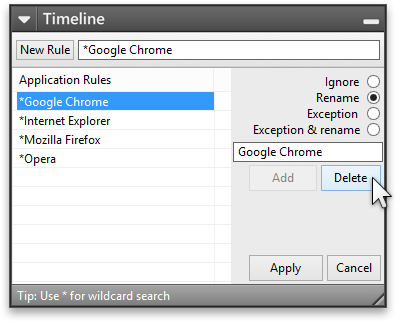 Congratulations, you're done! 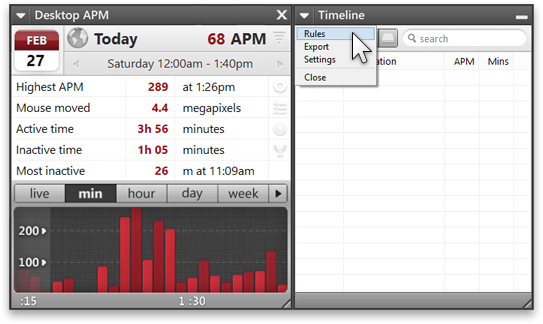 Desktop APM has now been configured to only track APM and statistics during the use of League of Legends.